Having decided to spend a month volunteering at La Senda Verde we decided to head to La Paz to catch the mini bus into Coroico, the closest town to the animal refuge. Ready to see what Bolivia’s capital had to offer we hopped on a tourists bus in Copacabana (highly recommended as we had read that some of the cheaper bus companies have had issues in the past with being stopped and the patrons being held captive until they release all there money to the kidnappers). A few hours later we were booked at our hostel Lion Palace Hostel which was walking distance to the famed “Witches Market”. We spent our last few days in “civilization” shopping and wandering. Our hostel didn’t have a common kitchen so we spoiled ourselves with restaurants. With a great exchange rate, roughly $7 boliviano’s equaling $1 Canadian and a meal for two with drinks rarely being more then $20 Canadian, we didn’t break the bank. 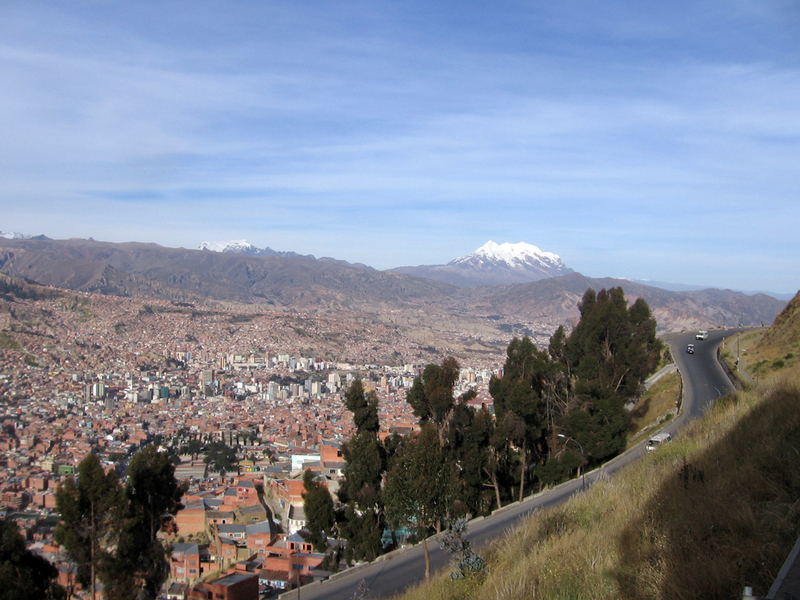 Shopping in the markets of Bolivia was a cheaper version of Peru with less pushy sales people. 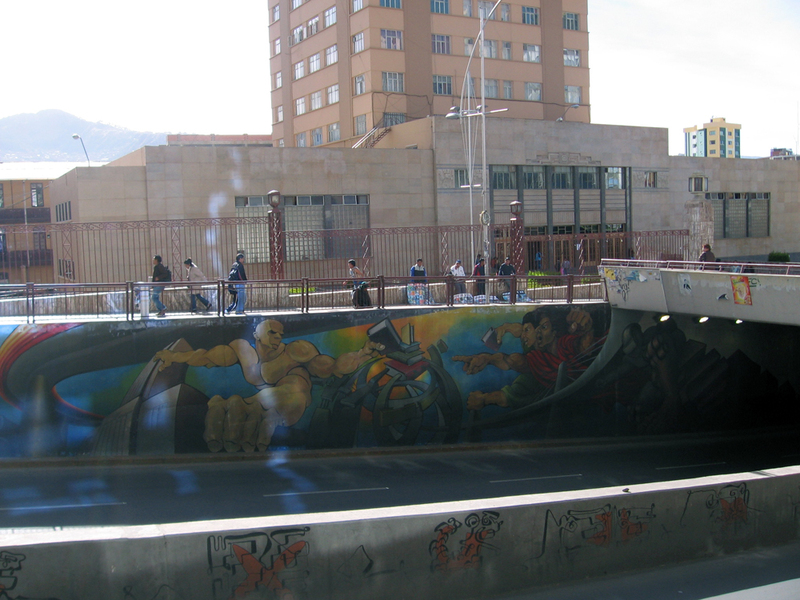 A mural on an underpass in downtown La Paz. 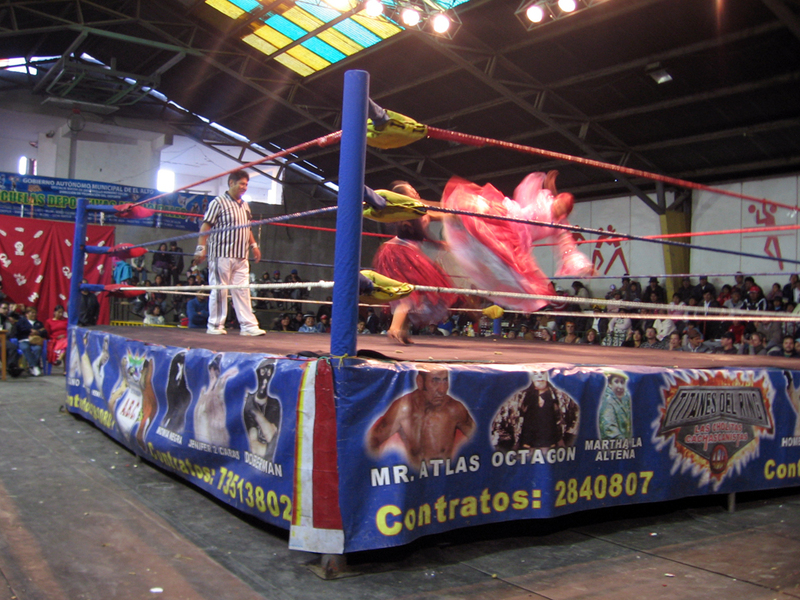 On Sunday we booked tickets for “Cholitas Wrestling”. Basically it was a cheesy but very entertaining Bolivian version of professional wrestling highlighted by some women in traditional dress adding to the over-the-top drama. We both enjoyed it very much but felt odd being in the tourist seating (more expensive seating, close to the ring, included promotional items, popcorn and a drink). 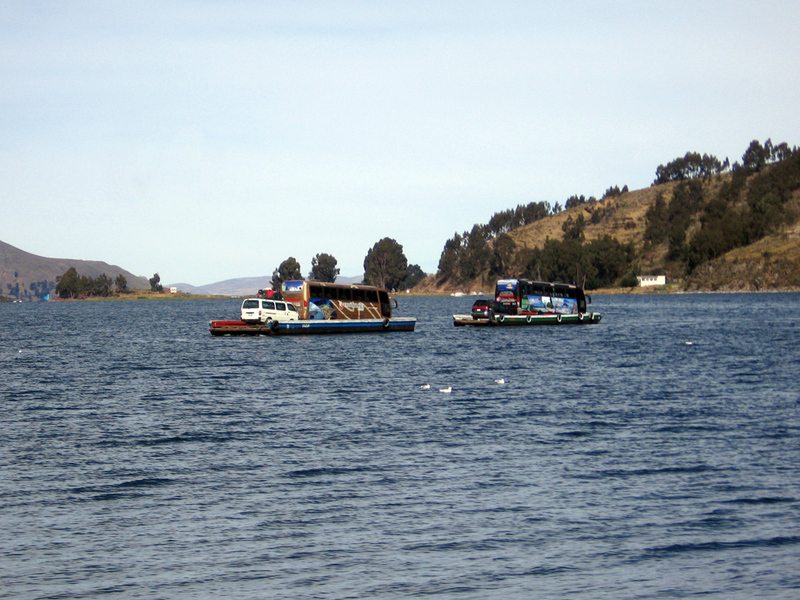 We hoped this allowed for the Bolivian fans to have affordable seating. Unfortunately some of the tourists got a little too involved and started to throw random items at the ring later in the show. Security evacuated the tourist area so that the true fans could enjoy the main event in peace and the athletes could finish their matches without having to deal with garbage all over the ring. After seeing so many traditionally dressed women in the streets and the markets of Bolivia and Peru shopping and carrying babies, it was nice to see the Cholitas Wrestle out their aggressions.